Bury-based BD Systems is to design, engineer and supply major internal hydrocarbon blast walling and associated doors for Hornsea Project One offshore windfarm, one of the largest infrastructure projects in the UK – and what will be the world’s largest offshore windfarm once completed. Located 120km off the Yorkshire coast, Hornsea Project One is wholly owned by DONG Energy. The development, scheduled for commissioning by 2020, will accommodate 174 wind turbines in an area of approximately 407 square kilometres, with the capacity to generate 1.2 Gigawatts: enough to supply electricity to well over one million homes. 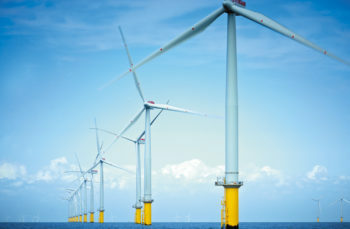 BD Systems was awarded the contract by Babcock International, DONG Energy’s engineering and fabrication partner for the project, to design blast walling that will enclose the windfarm’s shunt reactors. A key element of the design for the Reactive Compensation Substation (RCS) is to reduce the loading transferred by the blast walls to the main structure, so that in the eventuality of a blast scenario not all of the loading from the blast wall will be transferred back into the main structure. Offshore construction for Hornsea Project One is due to begin next year.